Recently, I had the opportunity to chat with Silver Kayondo, the Co-Founder and CEO of DroneNerds Africa (Uganda) Limited. 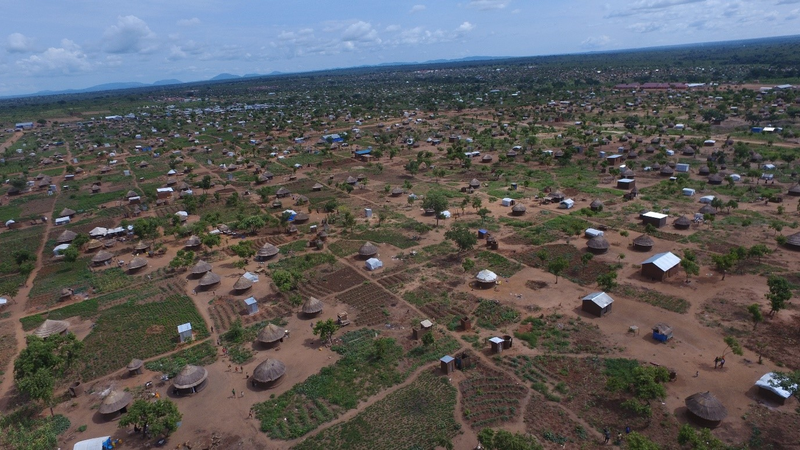 The company specializes in frontiering the use of commercial drones/UAVs in agriculture, construction, GIS mapping, environmental compliance monitoring, and humanitarian refugee support in Uganda. During the meeting, we talked about the ways his company is helping to advance the Global Goals. Sustainable development to us means using the world’s resources in a way that ensures a decent life standard and equal opportunities for not only the present generation, but also for the generations to come. In this increasingly interconnected global economy, the SDGs serve as a benchmark for consciousness of aspirational standards. Could you please expand a little bit more on what DroneNerds Africa (Uganda) Limited does? We capture and process impact data that supports decision making. For instance, we have engaged in projects that highlight the negative impact of environmental degradation arising from open-pit sand mining around the Lake Victoria Basin. We also support strategic sectors of the economy through mapping services. For instance, we have recently done mapping for the oil pipeline route in Uganda. We do content creation for the tourism industry. We are creating on-shelf video clips of Uganda’s natural endowments for potential sale to clients like National Geographic, Netflix, etc. And lastly, we also render drone legal and regulatory compliance advice under my legal consulting and advisory firm, Ortus LLP (www.ortusadvocates.com). We are keen on safe and ethical droning practices. What are some of the big lessons learned from your experience in this field? Because of the population surge in the camp, conflicts arise between refugees and the host community. In order to identify the major causes of these conflicts and resolve them, my company DroneNerds Africa used drone monitoring and reporting systems in potential conflict spots. We discovered that most of the conflicts emanated from land access, land use, and access to natural resources (water sources and forests). This was captured using drone footage. We believe that with further support, this detection and reporting mechanism can be built into an efficient emergency support and resilience strategy against conflict and violence prevention between refugees and host communities. What SDGs are you working to achieve? We are helping to advance the SDG 9 because drones are highlighted as a major innovative technology of the 4th Industrial revolution. In 2016, Goldman Sachs estimated that drone technologies would reach a total market size of $100 billion between 2016 and 2020. Drones are expected to become part of daily operations across industries, such as insurance, agriculture, and journalism. What does your company aspire to do in the future? We would like to establish a 3D mapping system and handle drone data analytics through integration of such tools as machine learning and artificial intelligence. To achieve this, we need to leverage partnerships with big delivery drones and multinational industry players like DJI and senseFly. Where do you see your company and it’s growing impact in the next 10 or 15 years? One of our goals is to be able to provide drone based services to advance the delivery of vaccines, gloves, syringes, etc. We would also like to support health and safety operations in industries like construction, energy, infrastructure, oil, and gas to minimize human risks. We are looking forward to offering expertise through positive drone use cases and consultancy to government departments like the Civil Aviation Authority, the Ministry of Defence, Uganda Police and other stakeholders. By doing so, we will be able to develop a drone friendly legal and regulatory framework.